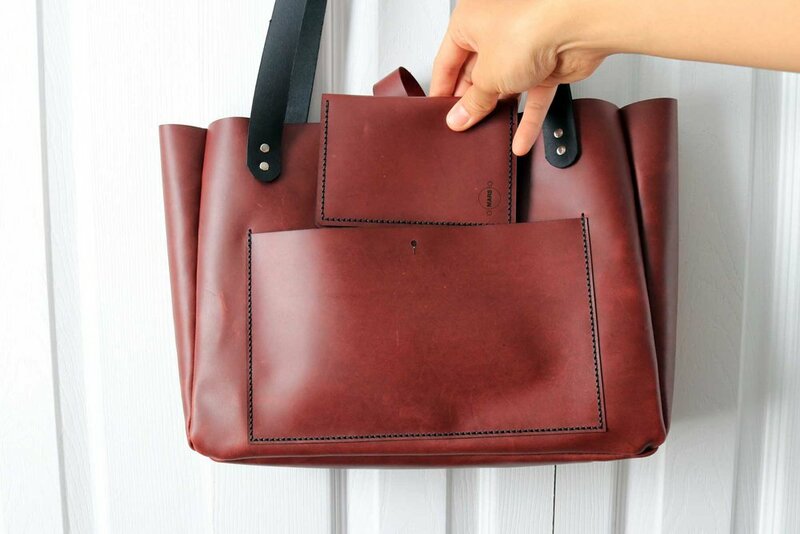 While exploring different methods for hand stitching leather bags, I decided to make a 5 sided tote bag with 4 sides and a bottom that would be stitched inside out and inverted when complete. This would pull the sharp edges to the interior of the bag leaving only smooth rounded edges on the exterior. To add more functioning storage space to the bag, I decided to have two large pockets; one on the exterior and one on the interior of the bag. This would allow for easy access of items. Overall, I love how this simple and minimal design came together with the smooth glossy top grain leather body and black straps. 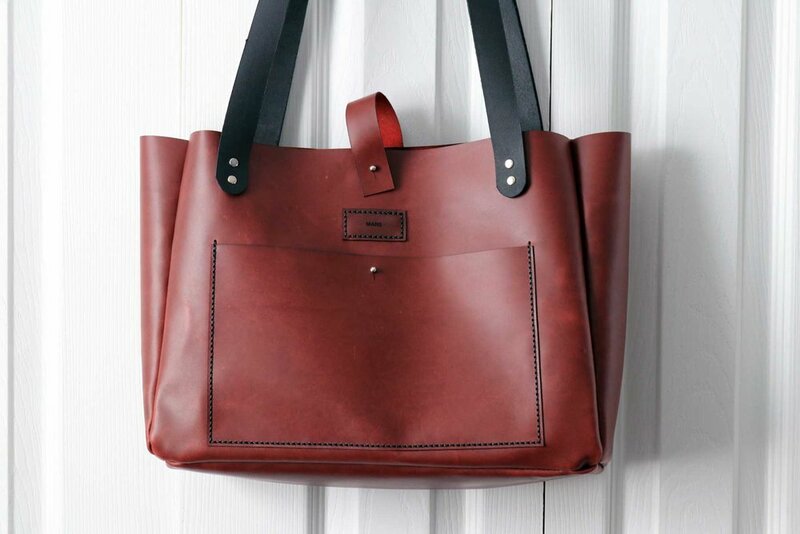 Although it involved more hand stitching than the standard leather tote bags, the final outcome was well worth the effort. In the future, I’ll use thicker leather to build the rigidity of the bag so that it can sit on the ground with little to no support.